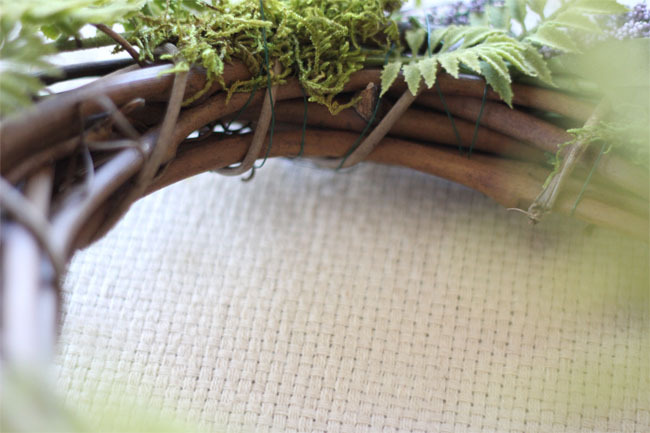 The key to these darling little flower blocked wreaths from our DIY contributor Christy of One Handspun Day is in the flowers you choose. 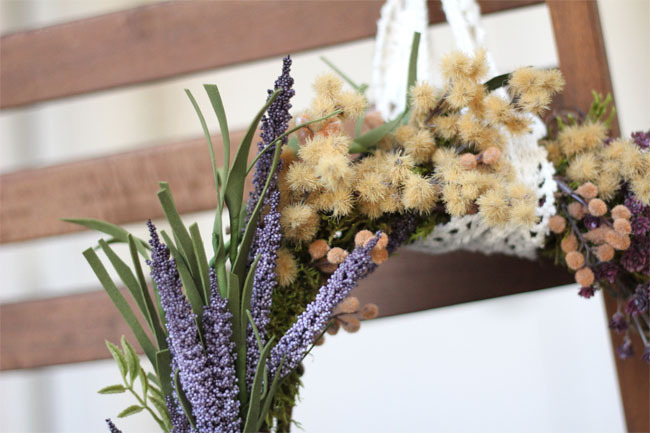 Use an assortment of flowers and leaves that vary in color, as well as in texture for an especially swoon-worthy effect. Christy used three different flowers and two different leaves, but using only flowers would be just as lovely! 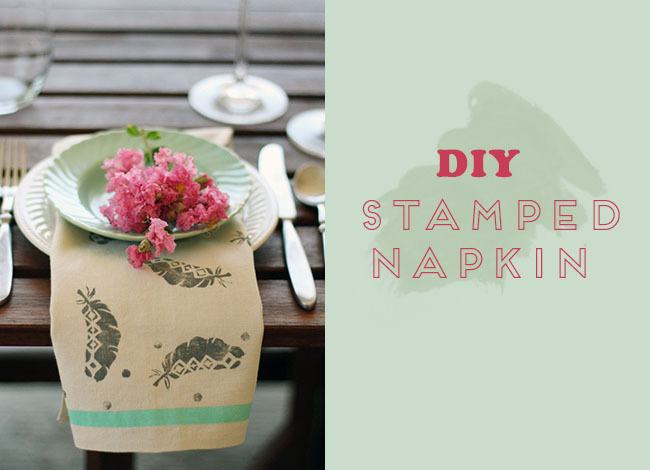 This project is so quick and easy that Christy actually spent more time choosing the flowers she wanted to include rather than crafting! 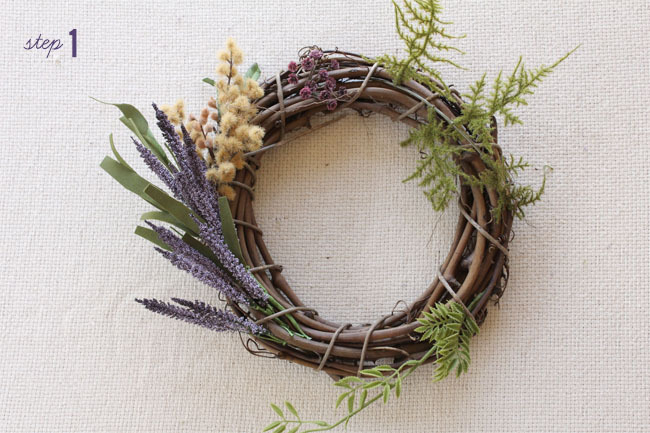 Lay out all of your flowers and plan the placement of each group on the wreath. I divided my wreath up into five sections and assigned a different flower or leaf to each one. 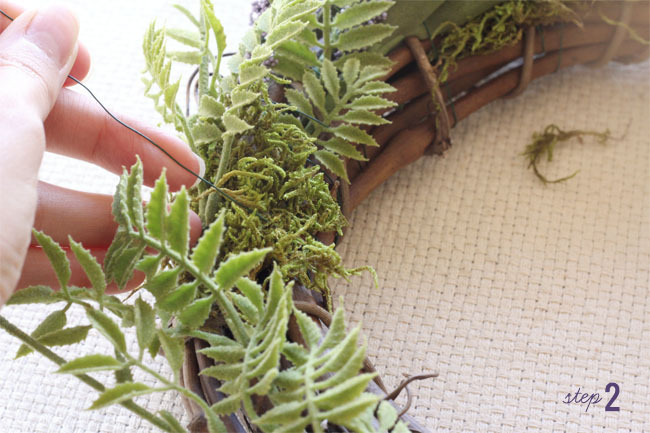 Work on one section at a time and tuck the end of the stems into the wreath. 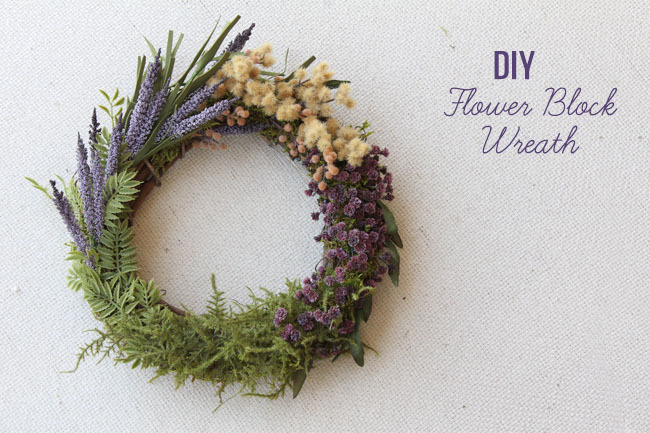 Wrap the wire around the wreath and over the base of the flowers, pulling tightly to secure them in place. Add moss as needed to build the base, giving the flowers some height and the wreath some depth. 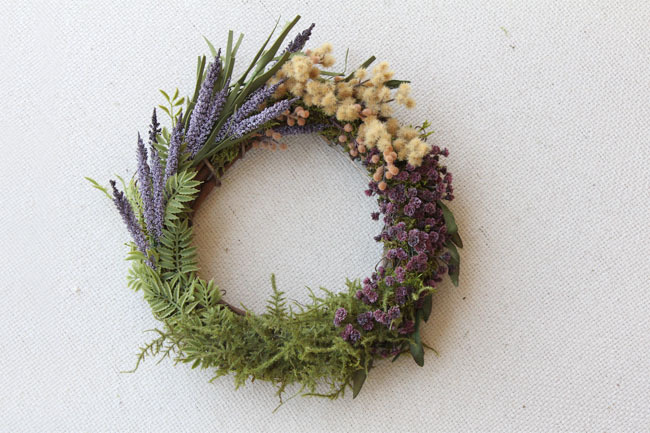 Repeat for each section, working counter-clockwise around the wreath. 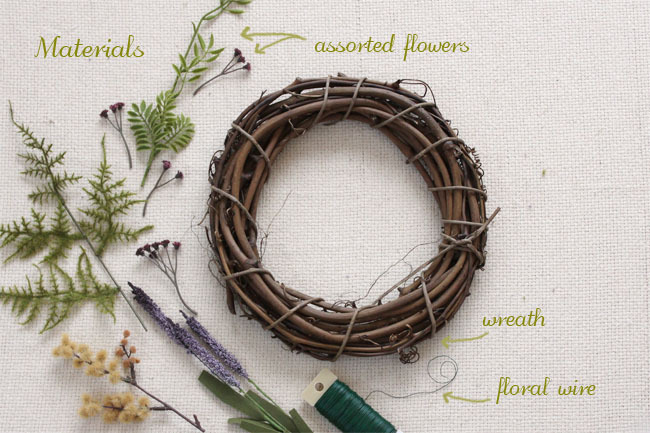 Secure the end of the wire to finish up the wreath. 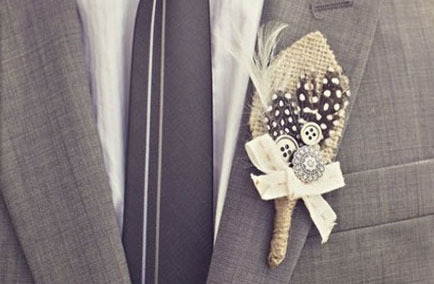 Hang with ribbon and use it to pretty up some of your décor, tie it to the back of a chair for the reception, or hang it on a shepard’s hook to line the aisle for the ceremony! This is fantastic! I’ll be sure to share with our readers!